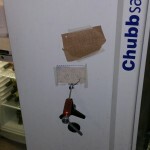 Chubb ID plate. This full serial number is inside the safe on the backpan of the door. 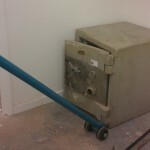 Any serial numbers on the outside will be missing vital information. 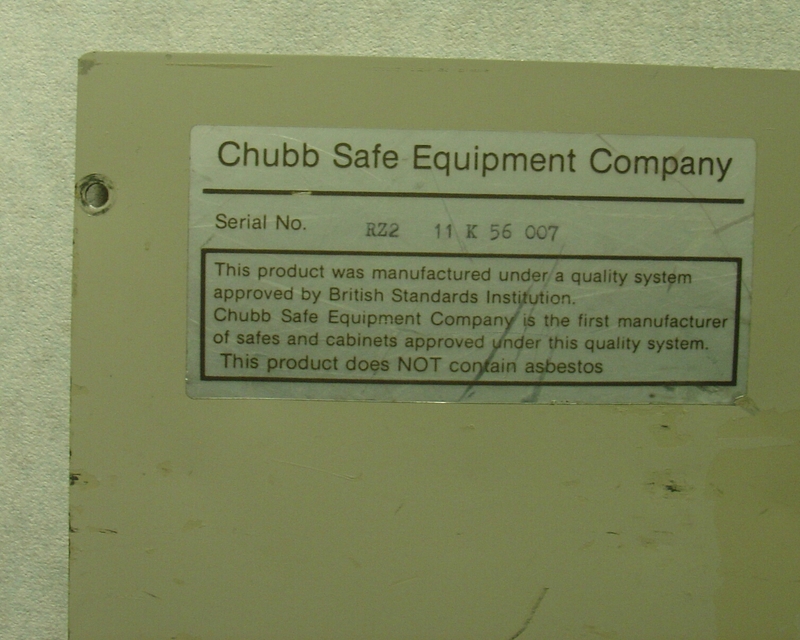 Chubb serial number inside the safe. 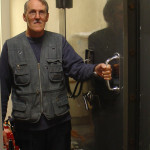 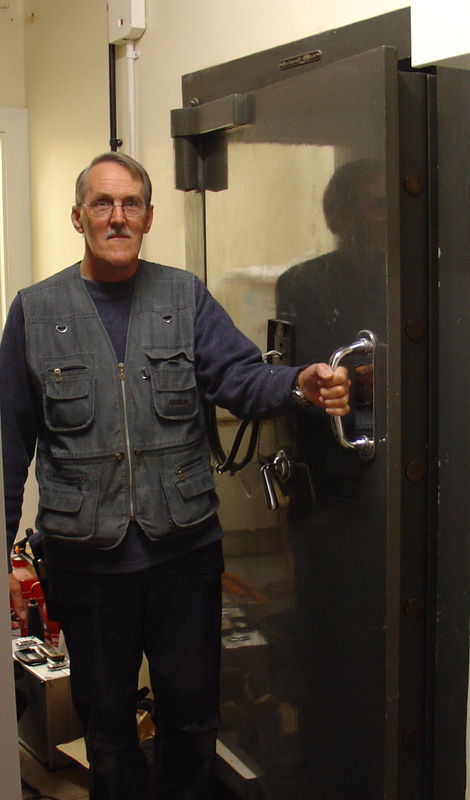 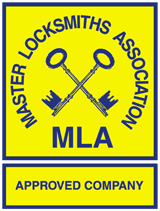 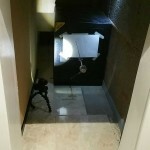 This full reference can be used to identify the model and rating of the safe. 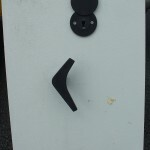 Black turn handle to move the locking bolts. 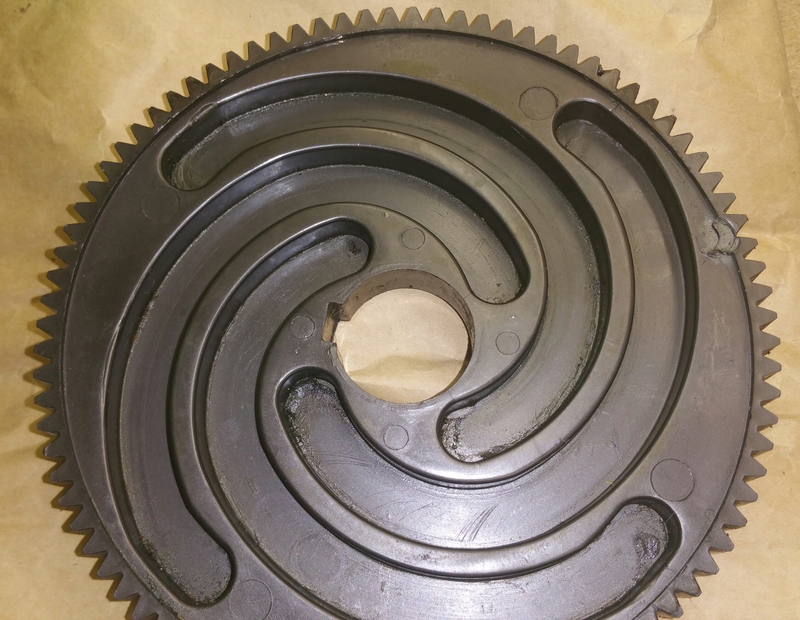 Single bitted keyway. 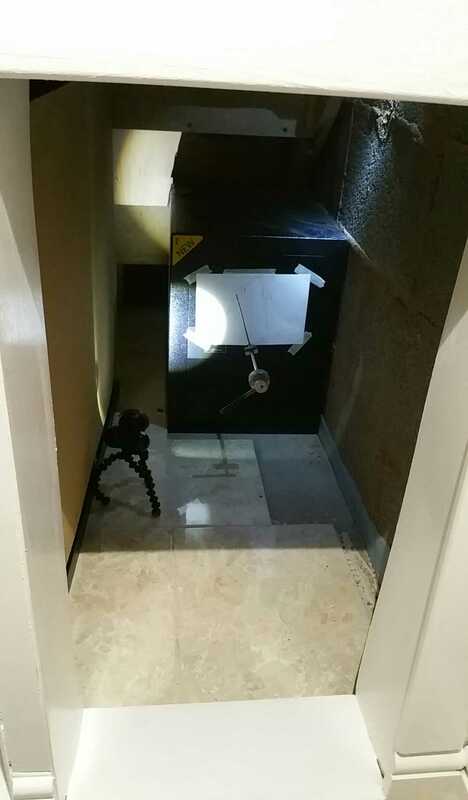 Awkward under stair location to work in. 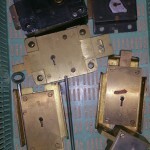 Tricky double bitted safe lock picked open and rekeyed. 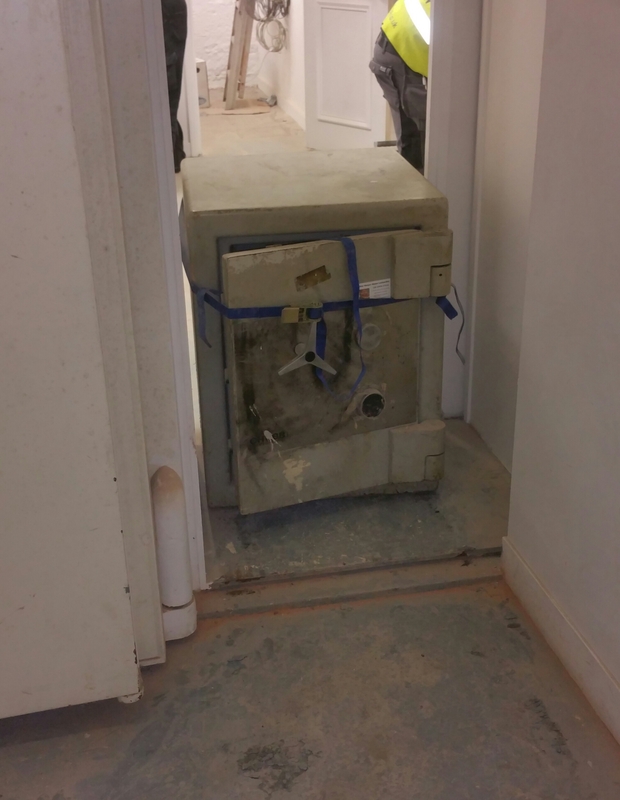 760kgs of high security Chubb Isolator safe relocated. 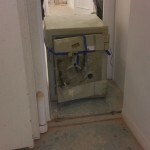 Including going over this raised threshold for the strong room door. 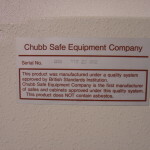 Chubb Isolator safe repositioned into new office. 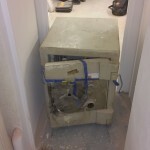 Ready for conversion to electronic lock system. 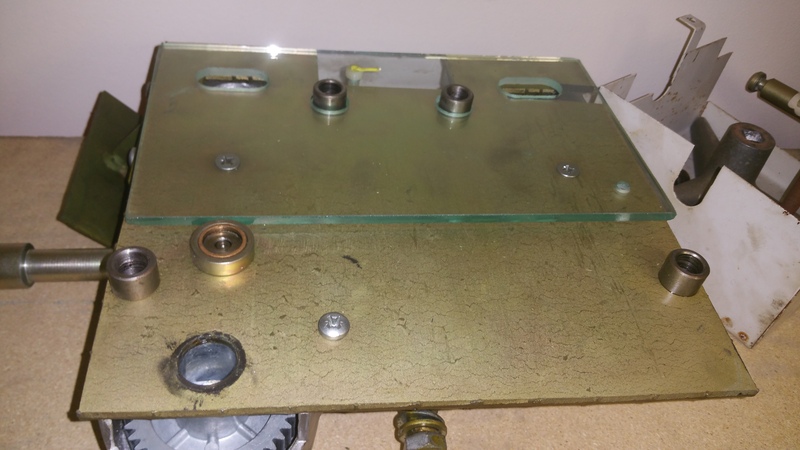 Chubb full glass isolator replacement unit for sale £500 no locks. 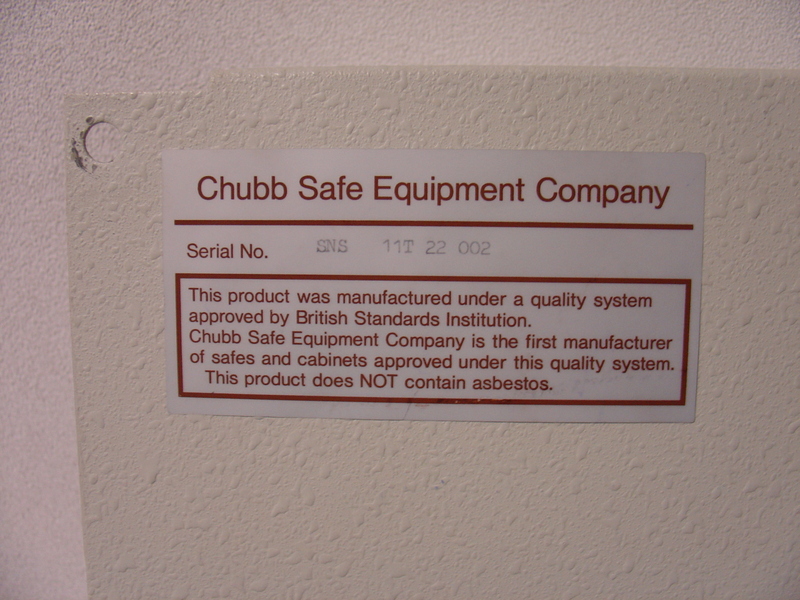 To suit Chubb Financier Isolator safes. 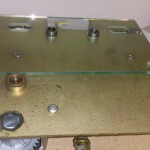 Boltwork fault shown meant that this Secureline safe had to be drilled and repaired. 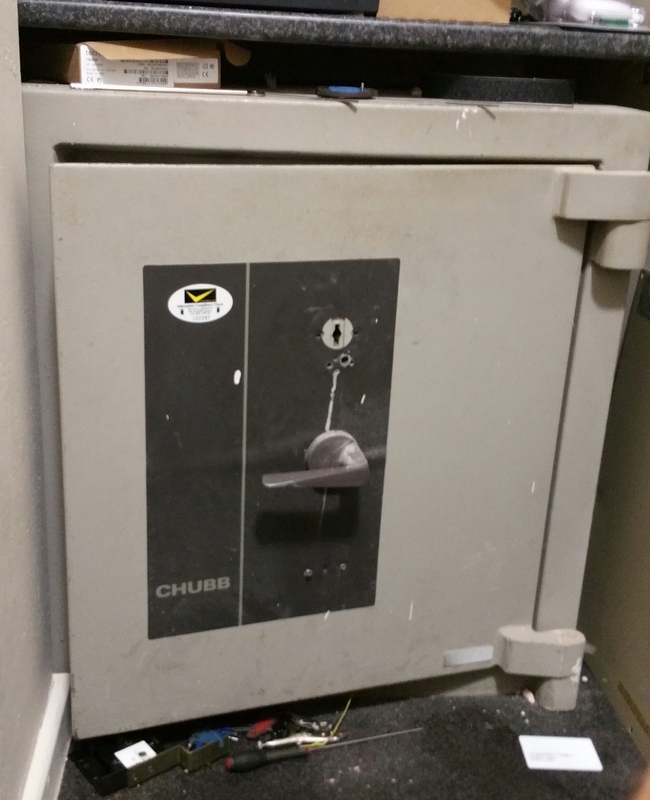 Lost keys for Chubb Euro safe. 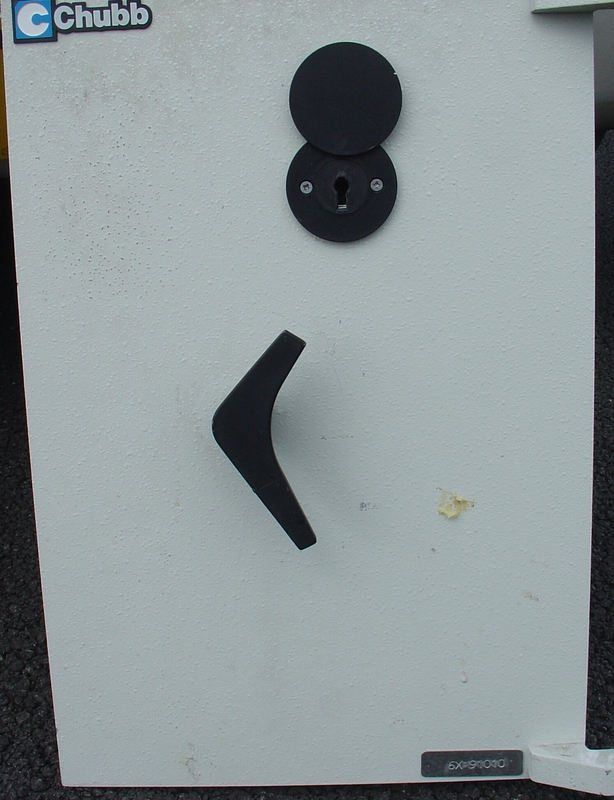 Mauer lock opened without drilling or damage. 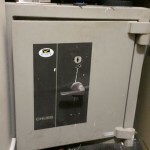 New safe lock fitted. 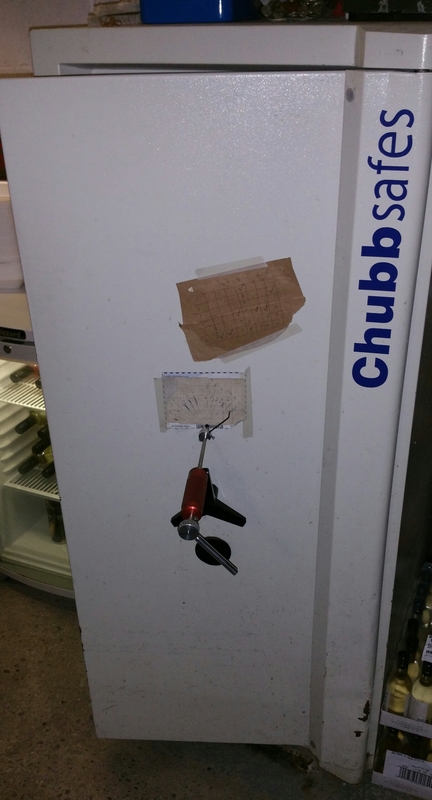 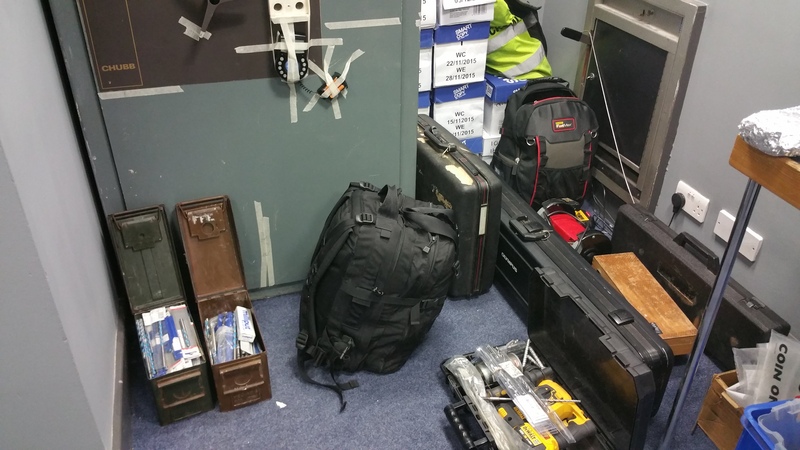 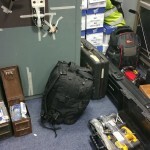 Just a selection of the tools and equipment needed to open Chubb Isolator safes. 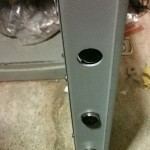 A problem with the boltwork meant drilling holes through the tough Torch and Drill Resistant barrier material. 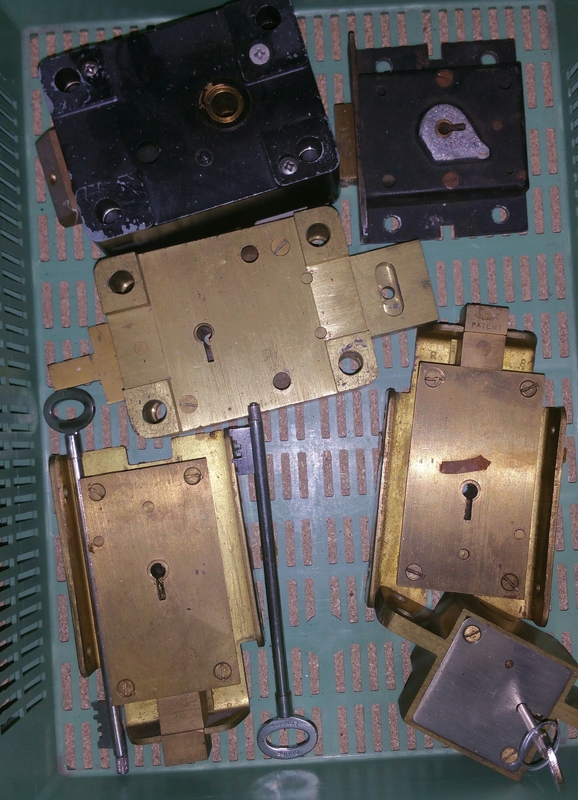 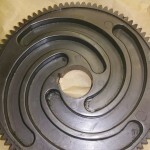 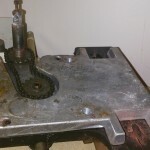 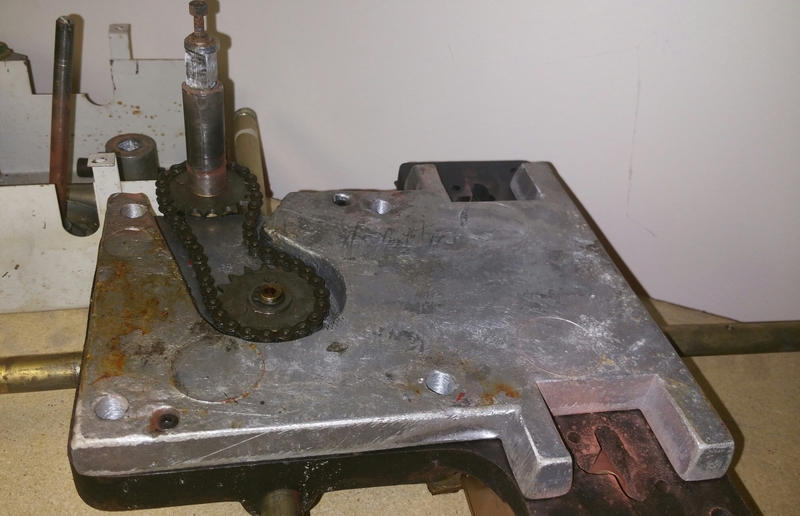 All repaired afterwards with hardened inserts against future drilling. 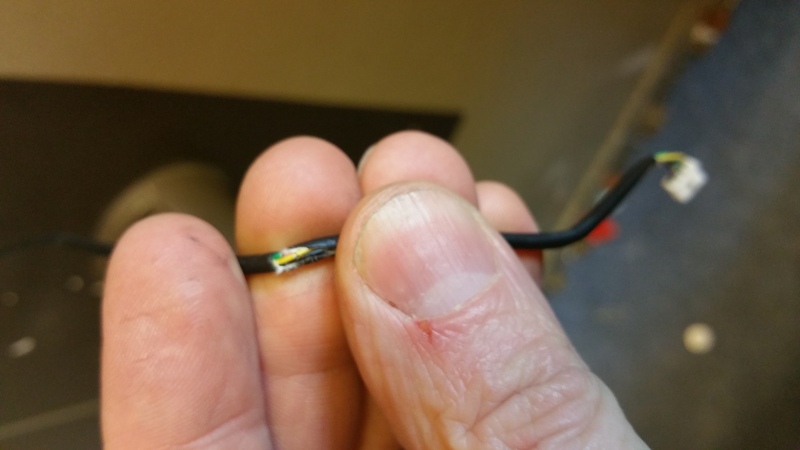 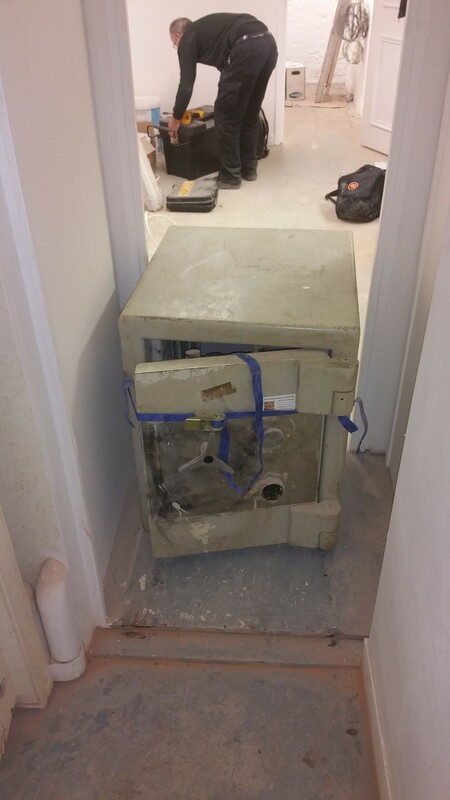 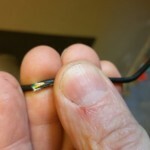 The main cable to this electronic safe lock was damaged. 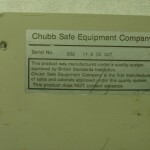 We splide in a new keypad to gain entry to the high security Chubb safe. 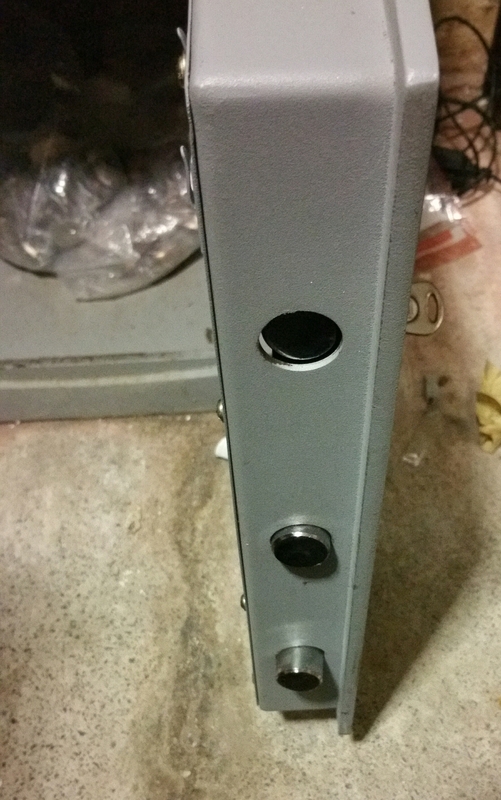 New keypad and they were fully secure again.